For Lotta Jansdotter, small space doesn't confine creativity ― it demands it. 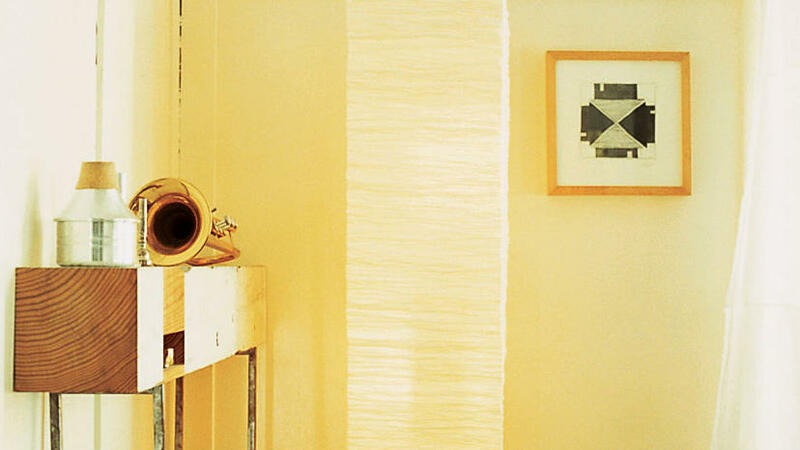 When she lived in San Francisco, the textile and surface designer found unique ways to maximize the 725 square feet she shared with her husband, Nick Anderson. Click ahead for her space-saving ideas. 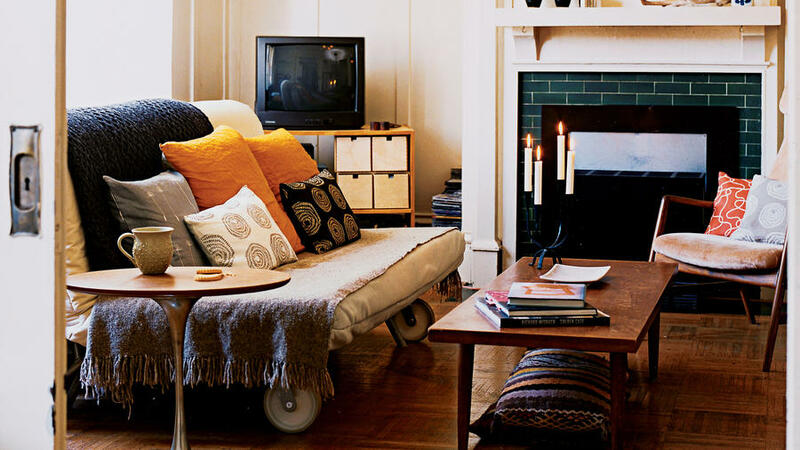 Skip the bedroom altogether by hiding it inside the living room. Play around with couch options, from a styled daybed to a hidden sofa-bed, or even a futon that can convert from bed to seating. By day, this is a his-and-hers work space. After 5, tuck the laptops away, put the lamp on the floor, and the office becomes a dining space for casual entertaining. For an eclectic vibe, mix contemporary and vintage chairs and tables. Secondhand stores are hideouts for furniture with character; go often to watch for new stuff. "I love shopping at the Salvation Army," Jansdotter says. "It's like a treasure hunt." Eighteen horizontal inches of wall may have more storage possibilities than you think. 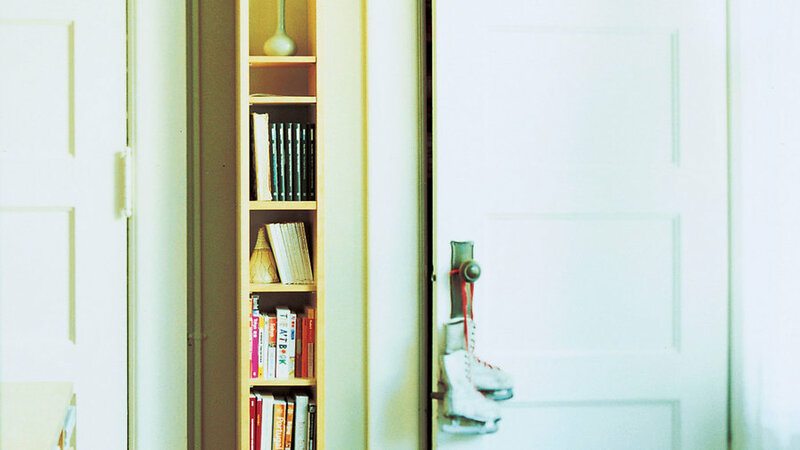 Though this tight space between two closets might otherwise go unused, Jansdotter fitted it with a narrow bookcase, made from a CD tower with a few shelves removed. Jansdotter and Anderson found that their full-size bed fit perfectly in their oversize storage closet (fortunately neither of them is very tall). 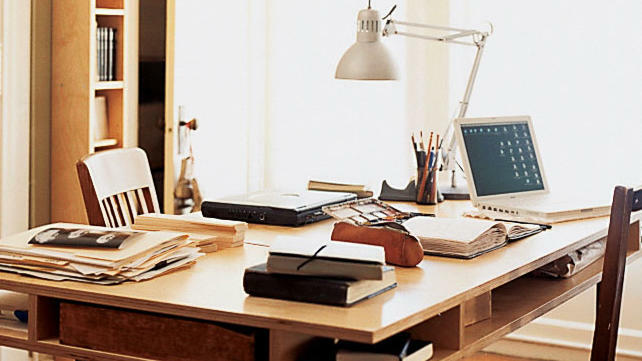 Avoid clutter with the in-and-out rule: When you bring in something new, take out something old. Jansdotter salvaged this piece of junior-high nostalgia off the street. 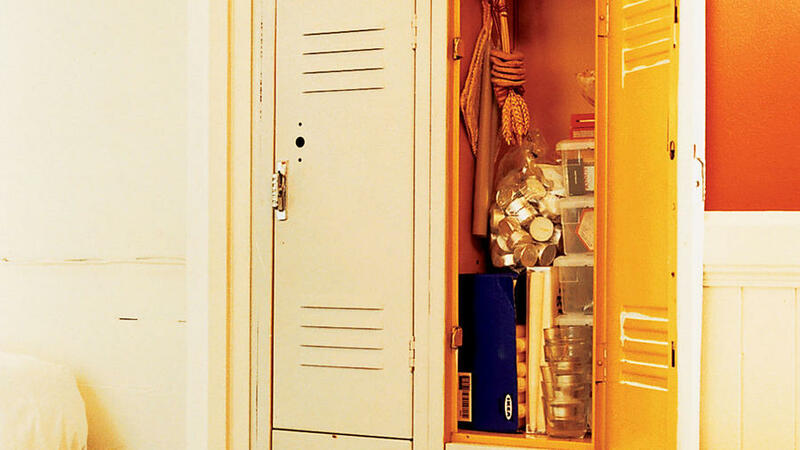 It stores her household supplies: light bulbs, linens, laundry detergent, towels and the like. Stylish accessories can live out in the open, freeing storage space. 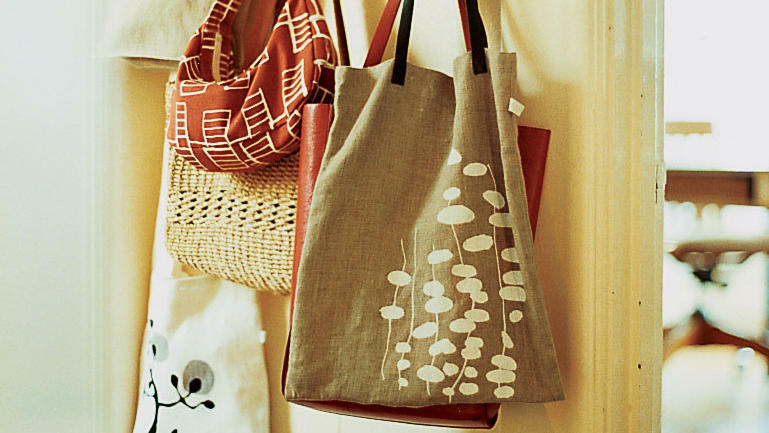 You don't keep your framed Picasso print in the closet, so why banish your fashionable bags there? 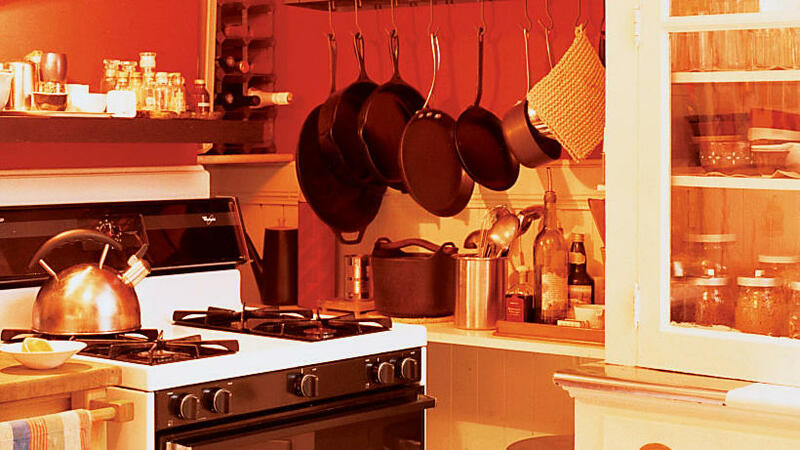 Hardworking walls are a must in a tiny kitchen. When counter and cabinet space is limited, install a wall rack or sturdy shelves to make the most of vertical space. Get designer looks on the cheap. Look fancy? 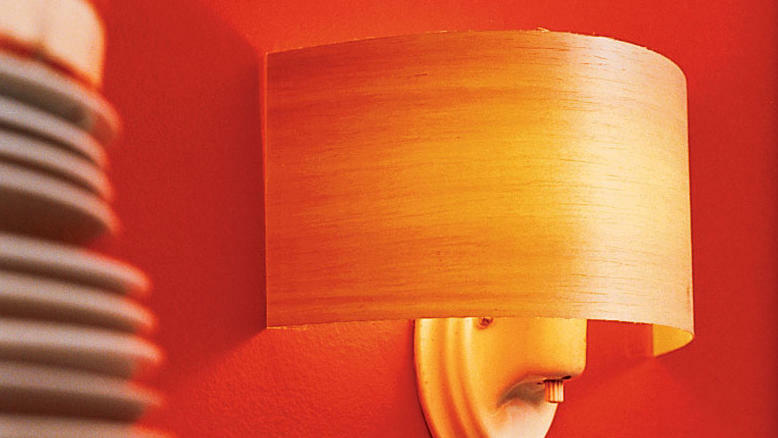 This sconce shade is a piece of wood veneer taped to the wall. If you try this yourself, make sure the veneer does not touch the bulb, and consult your local home-supply store expert for veneer recommendations; some are a fire hazard. Carve out space to display whimsical items. In her home, Jansdotter enjoys setting up impromptu compositions, much like she does when working on her textile designs. Here, an architecture-school project displays Anderson’s trumpet, proof that even in a small space, there's plenty of room for fun.